After a break last year, the Cochrane UK & Ireland symposium returned to Oxford. We had a great time, learning loads about all the fun and interesting projects going on across the collaboration, and catching up with our fellow Cochranites about new developments and methods in evidence synthesis and the myriad activities that facilitate and enhance Cochrane’s work. We’re extra proud that TAG was represented in the schedule, with Nicola Lindson and Jamie Hartmann-Boyce presenting on our group’s priority setting and dissemination activities. If you couldn’t make it, then never fear! 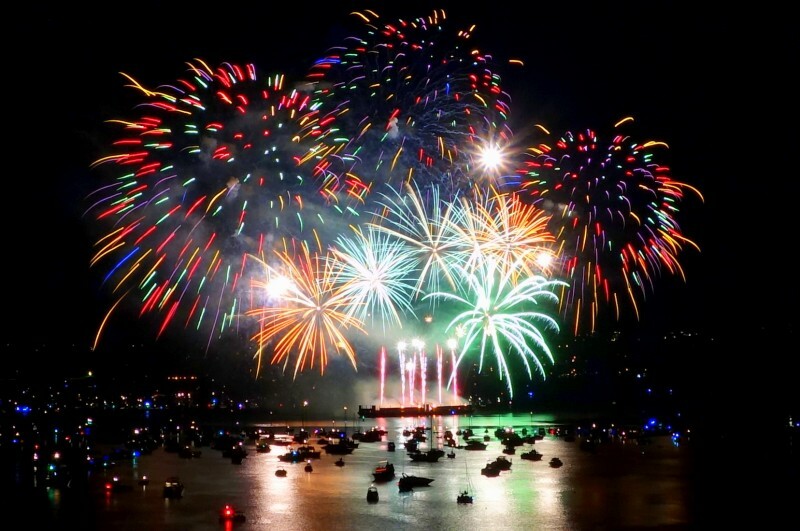 Nicola’s slides on Cochrane TAG’s 20th anniversary project can be found below, and we have an extra special treat in the form of the catchiest song about vaping you’ve ever heard! Our Managing Editor Jamie Hartmann-Boyce attended the SRNT annual international conference in Florence this month. This gave us the opportunity to showcase some of the group's work from over the past year. Firstly, Jamie took part in a U.S. Food & Drug Administration run workshop on electronic cigarettes. She presented the findings of the most recent update of our 'Electronic cigarettes' review (on which she was lead author) and you can see her slides below. 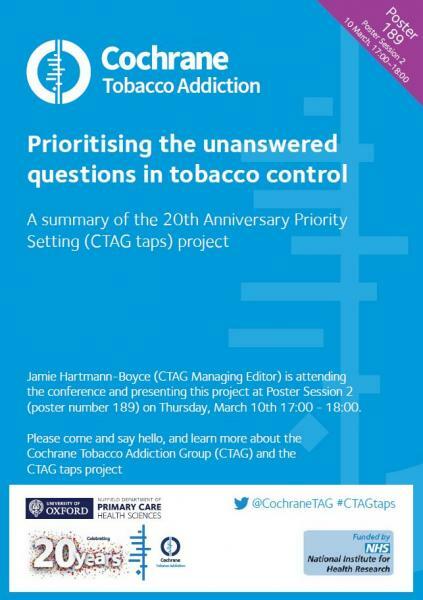 Secondly, we included a summary of findings from Cochrane TAG's 20th anniversary priority setting project (CTAG taps) in all attendee's delegate packs. You can access this by clicking the thumbnail below. Jamie also presented the findings of the project as a poster, which you can see by clicking here. Lindsay Stead was one of the first members of the Cochrane Tobacco Addiction Group (CTAG) and has been with the group, writing reviews and supporting authors, for 20 years. This week Lindsay retired from her role as Managing Editor and Information Specialist approximately 2 days a week. However, she will continue to be involved with the group by supporting literature searches one day a month from January 2017. 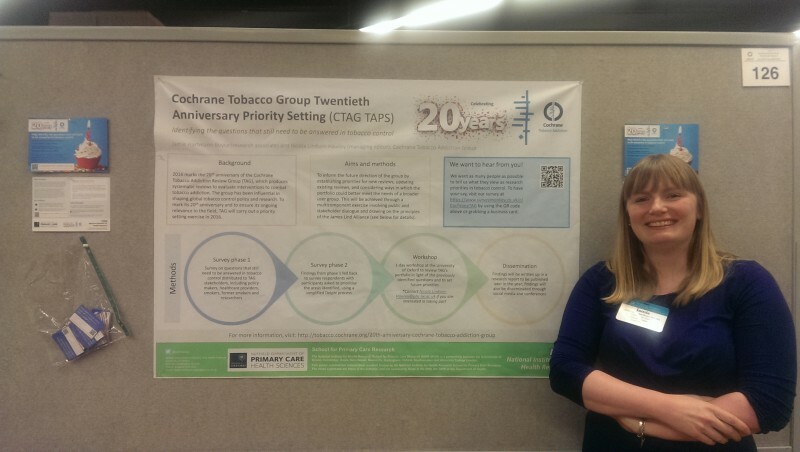 We are extremely pleased that Lindsay will continue to be affiliated with the group as her contribution to CTAG and the field of tobacco addiction and cessation in general has been enormous and greatly valued by her colleagues. As well as that Lindsay has been a wonderful colleague and we will miss seeing her around the office as often. We wish her all the best for her retirement. As a result of Lindsay's retirement Jamie Hartmann-Boyce will be increasing her hours working for the group (to 2.5 days a week) and Nicola Lindson will remain full-time. Therefore if you have any CTAG related queries moving forward please contact Nicola or Jamie. 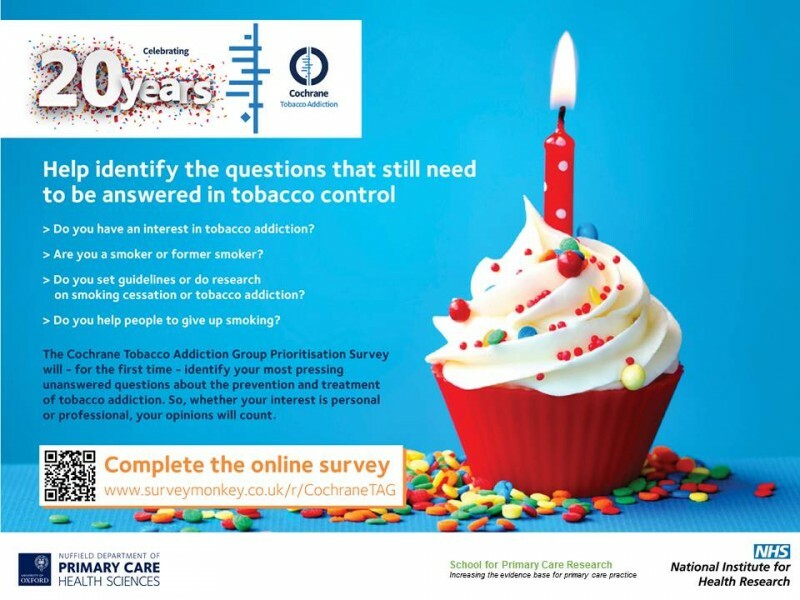 The NIHR School for Primary Care Research (SPCR) kindly funded the Cochrane Tobacco Addiction Group Anniversary project (CTAG taps) in 2016. 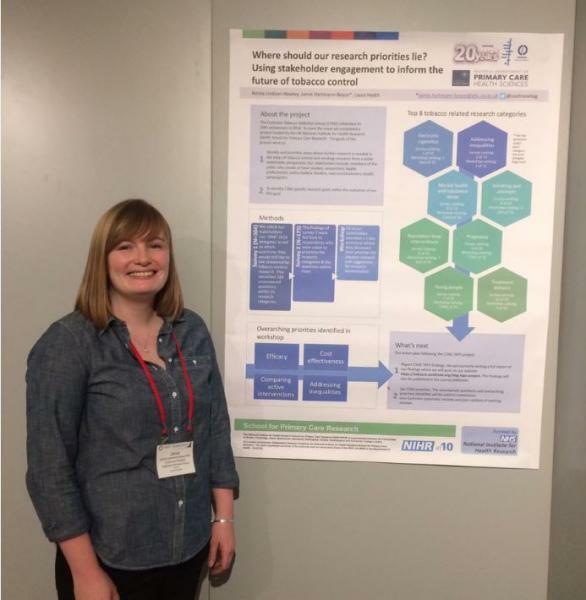 Therefore, Nicola attended the SPCR 10 yr anniversary showcase, held at the Wellcome Collection, London, UK , to present a poster summarising the methods used and findings from the project so far. You can view the poster by clicking on the thumbnail below. The day offered a great opportunity to gain an overview of the range and quality of the research that the school makes possible; which has contributed greatly to the growth of of Primary Care research in the UK. The review ‘Interventions to reduce harm from continued tobacco use’ has been updated by members of the Cochrane Tobacco Addiction Group and colleagues from the University of Oxford and the University of Birmingham. The evidence available is limited and rated by GRADE standards as ‘Low’ or ‘Very low’. However, there is evidence to suggest that using NRT to aid smoking reduction could be used by smokers who cannot or do not want to quit as a tool to help them cut down the amount they smoke, or could help them to quit smoking in the long-term, even if this isn’t their original goal. New additions to the review include studies of electronic cigarettes, snus and varenicline as harm reduction aids. 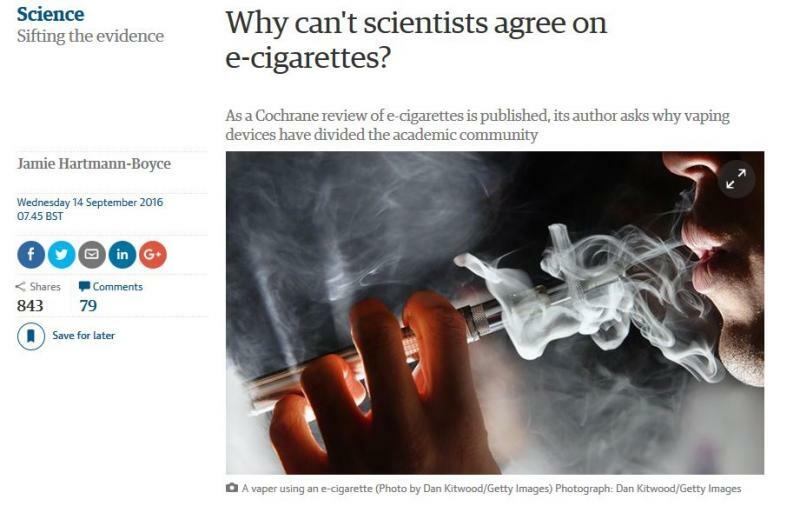 Guardian blog: Why can't scientists agree on e-cigarettes? The first update of our review of 'Electronic cigarettes for smoking cessation' was published at 23:30 BST on the 13th September 2016. It is available here. The conclusions of this review have not changed since the original publication in 2014, and are stated in the infographic below. 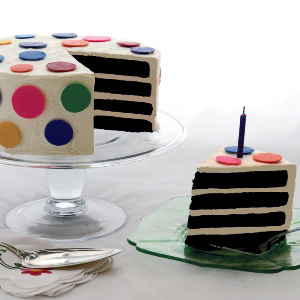 2) To publicise our 20th anniversary priority setting project survey. The survey closes at the end of March and can be completed by clicking here. 5) To keep up to date in the field. For example we saw data from a large new trial investigating adverse events of varenicline treatment being presented for the first time. 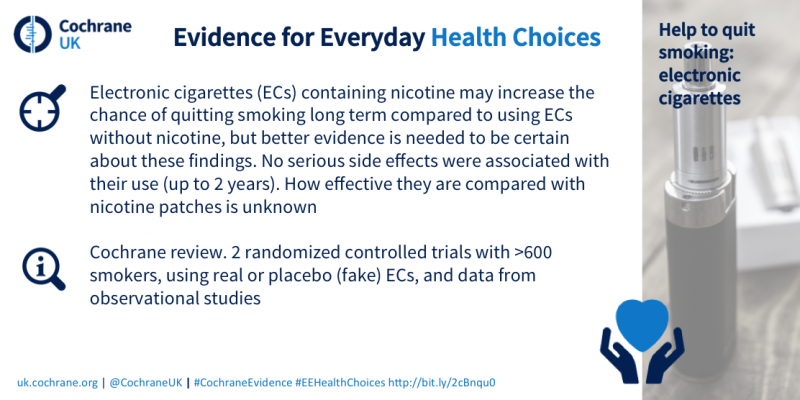 We will be including this data in the next update of our Cochrane Review of nicotine agonists for smoking cessation! The first stage of our Prioritisation Survey is online! Keep checking back for exciting new developments! 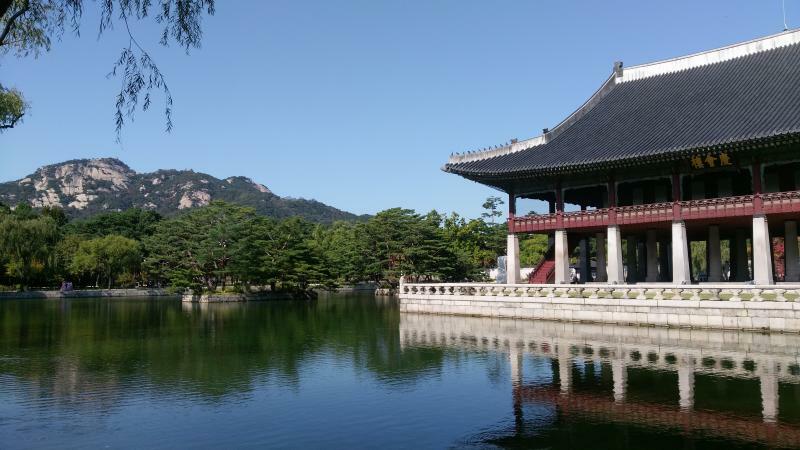 Earlier this month Dr Nicola Lindson and Professor Rafael Perera attended the 23rd annual Cochrane international meeting to learn, recap knowledge, network and publicise the group. The meeting took place in the beautiful city of Vienna, offered a packed and relevant schedule and was thoroughly enjoyable. You can read a piece Nicola wrote about the experience here. 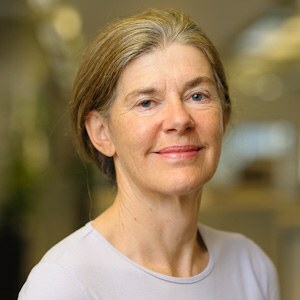 Kate Cahill began working with the Cochrane Tobaccco Addiction Group as Managing Editor in 2001 and has worked on many ongoing important and key reviews belonging to the group, including 'Nicotine receptor partial agonists for smoking cessation'; 'Incentives for smoking cessation'; 'Pharmacological interventions for smoking cessation: an overview and network meta-analysis'; and many more. 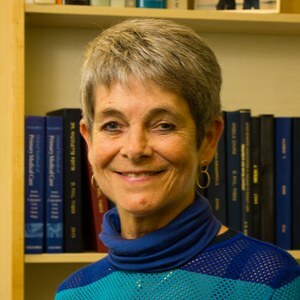 In 2009 Kate was awarded the Chris Silagy prize for her extraodinory contribution to the Cochrane Collaboration, which illustrates the asset that she has been to the group. As does her commitment to continuing to work on the most recent update of the nicotine agonists review until completion (early 2016), despite having retired in August. As well as her amazing professionalism and knowledge Kate's presence in the office and at coffee mornings will be greatly missed, and we are glad to say that she will still be involved in Cochrane through her copy editing work. We wish her a very happy retirement! Managing Editors Nicola Lindson & Jamie Hartmann-Boyce attended the UK Centre for Tobacco & Alcohol Studies' (UKCTAS) Early Career Researcher Conference on their second day at the University of Bristol to talk about Cochrane TAG. 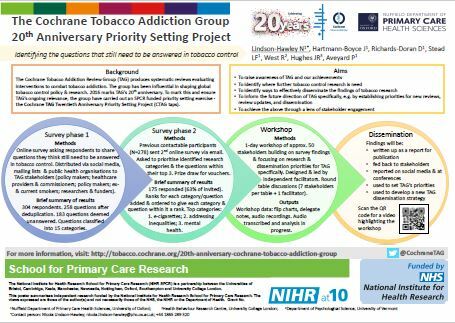 The aims of the presentation were to give an overview of Cochrane and more specifically the Tobacco Addiction and Drugs & Alcohol Groups; how to use Cochrane evidence and potentially get involved with review groups; and finally experiences of being involved with TAG and the opportunities this presented. It's always great to catch-up with UKCTAS colleagues and the conference was well organised by Olivia Maynard and Suzi Gage of the University of Bristol, Tobacco & Alcohol Research Group. Cochrane TAG Managing Editor, Dr Nicola Lindson attended the Society for Academic Care annual conference at the University of Oxford last week. She presented an update of the review Motivational Interviewing for Smoking Cessation, which can be found here: http://goo.gl/oXxQp5. The presentation was delivered in an elevator pitch, which means there was only 3 minutes to explain the importance, results and implications of the research, followed by 2 minutes of questions. TOP key note speakers - 4 of whom have done TED talks!! 5 time slots to visit 90-minute workshops - that is 7.5 hours of education. Choice of over 90+ workshops and two full-day workshops. 9 hours of oral sessions - SO MUCH CUTTING EDGE RESEARCH! Special sessions from WHO, EMA, on trial registries and new sources of data, rapid reviews, and much more. The first Colloquium since the re-brand; this is an incredibly dynamic and exciting time for Cochrane! All for €990 if you register before 22 July 2015! 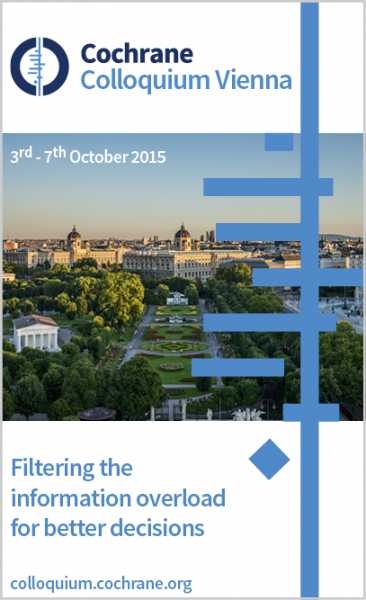 Come to Vienna, learn, network, exchange ideas, and support and engage with Cochrane! 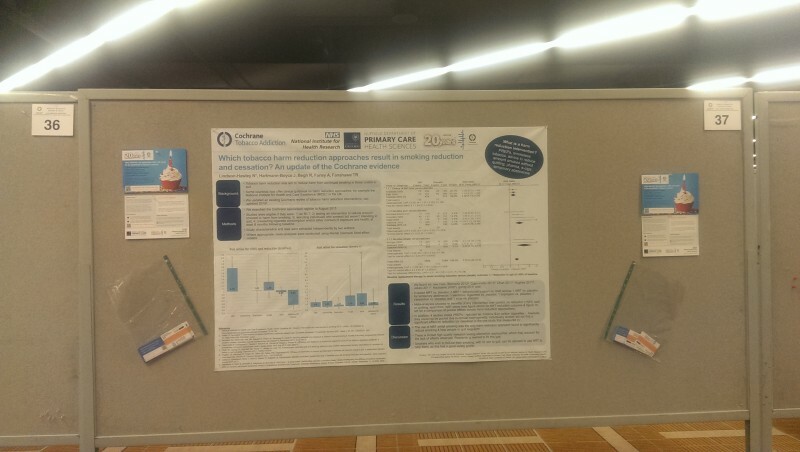 Cochrane TAG Managing Editor, Dr Nicola Lindson attended the UKNSCC 2015 conference to promote Cochrane TAG and to keep up to date in the world of smoking cessation. Attendees at the conference are in the main from a clinical background, giving the opportunity to disseminate results to those for whom it is most useful and to gain a different perspective.